Earlier this month, Civil Media Company, a start-up that uses blockchain technology and crypto currency to fund journalism, announced digital veteran Vivian Schiller would be joining the company as the CEO of the Civil Foundation. She began yesterday. Previously, Schiller worked for Twitter, NBC News, NPR and The New York Times, a solid portfolio of new and legacy brands. 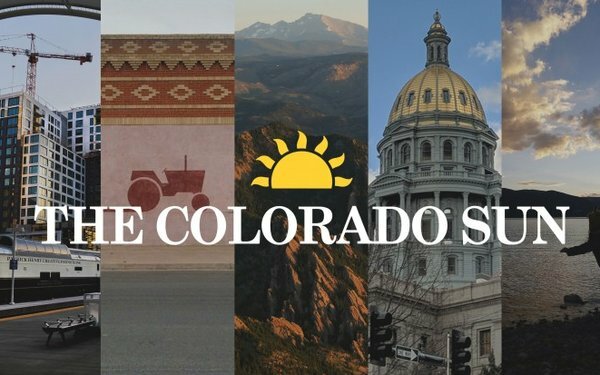 This comes as a new outlet, called The Colorado Sun, launches on Civil. The paper’s staff comes from the beleaguered Denver Post, owned by hedge fund Alden Global Capital, known for scooping up endangered newspapers and stripping them of staff and resources. Over the past few months, the stripping has become unbearable for so many DP staffers, resignations have become regular news. Now, some of those who have fled the Denver Post are finding new inspiration in the Colorado Sun. Larry Ryckman, a former senior editor at the Denver Post, will act as editor of the new endeavor. A team of former Post reporters and editors join him, including reporters Kevin Simpson, John Ingold, Tamara Chuang, Jennifer Brown and Jason Blevins, as well as senior editors Eric Lubbers and Dana Coffield. The Colorado Sun, which is one of 13 newsrooms sponsored by Civil that will have launched by the end of June, will not run advertising. Instead, it will instead rely on community backing through subscriptions and donations. Initial expenses for the paper are covered by a grant from Civil, which is backed by ConsenSys, a blockchain software technology company that invested $2.5 million in Civil last October and is currently Civil’s sole investor. However, The Colorado Sun will be expected to support itself when its initial round of funding runs out. The amount has not been disclosed. This summer, Civil plans to launch its own crytocurrency, a token called CVL, that will allow community members to support the journalism they most want to see. The Colorado Sun and Civil itself are both still in start-up, experimental modes. However, seeing veterans from across the journalism and technology industries placing faith in a new way to create and distribute new is heartening. It may point to a new path for the future of journalism. The past can't be undone, but perhaps Civil and its newsrooms will demonstrate how this new model will support journalism in a tumultuous era.